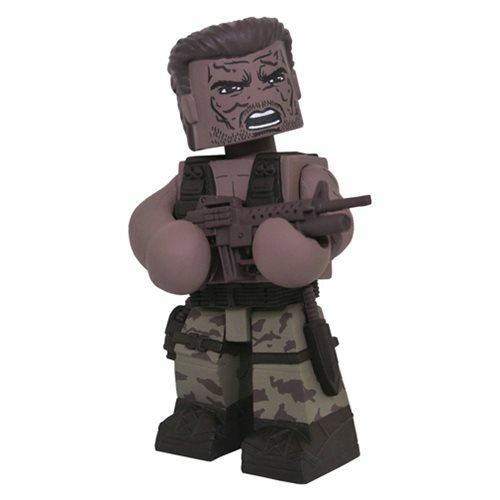 Muddy Dutch joins the Predator Vinimates line and he may be hard to find! Here comes Muddy Dutch, depicting the commando as he appeared, covered with mud, at the end of the film. The Muddy Dutch 4-inch Vinimate figure strikes a pose from the film, and features an articulated neck for further posing options. Comes packaged in a full-color window box.